 Edmonds CrossFit is a community of amazing and unique individuals who gather together daily in the relentless pursuit of a common goal. Here at the ECF we are about more than just attacking the daily workout with reckless abandon. We are about empowering, inspiring, and motivating one another to chase excellence in each and every area of our lives. We strive to live each moment to the fullest, to count each day as a blessing, and to do the common, uncommonly well. Our philosophy is simple, we believe that everybody has the heart of a champion beating within their chest. We believe that through hard work, commitment, and discipline that anybody can conquer life's obstacles and achieve greatness. Our Coaches and our Community are here to help you do just that. "This place is awesome, Morgan and his staff take great care in helping you reach your goals, it's a lot of fun, hard work, and well worth it. I highly recommend it,"
"Edmonds crossfit.....what an awesome bunch of members....more like family. You can choose your friends but your family is forever. No one cares more than Morgan about your overall well being. Get involved, you'll be hooked." "I LOVE this gym! I got the Living Social Coupon ($20 for $150 for 2 weeks of on-ramp classes). The staff (Morgan, Will, and other coaches) are great! They are friendly and helpful, and Morgan has a martial arts background (so they also offer kickboxing and other classes). It's a little less crowded which is nice, and actually makes me like CrossFit (after initially hating it after trying it at Ballard CrossFit). They are very good about individual coaching and attention too, emphasizing different fitness levels and making sure your form is correct. Only negative is that it's a little hard to get to in that you can't turn directly into it from the 104, but have to take a left and turn around to get to it. Other than that, this is a great CrossFit location (plus staff and CrossFit community here are very nice and welcoming). I highly recommend it!"